After Harold’s death, Jacqueline married John P. Rosenthal. 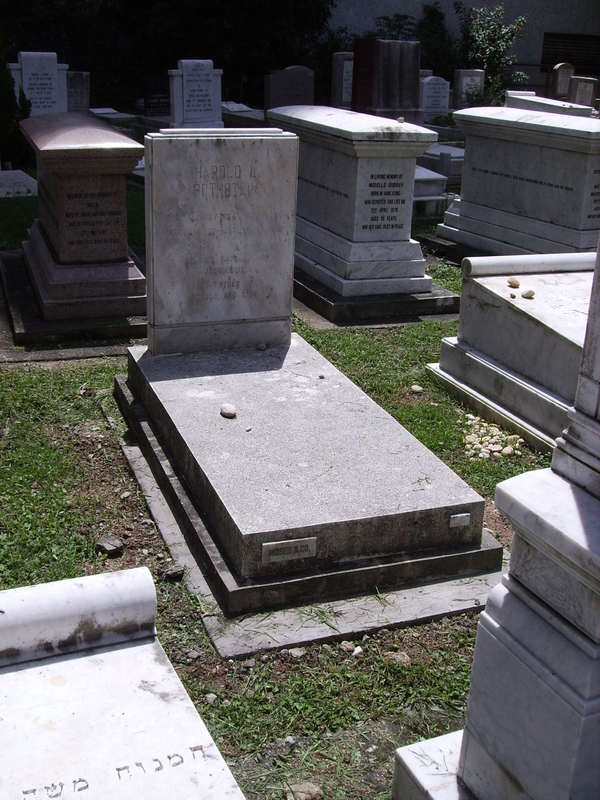 She died on September 22, 2005 and is buried at Mount Ararat Cemetery in NY. Ronald is married to Karyn and may be living in Baltimore. Lisa changed her name to Rosenthal. Historical Harold and his brother Joshua owned Zunino-Altman, which was the world’s largest importer and manufacturer of decorative artificial flowers into the US with over 10,000 workers (most of them in HK) making 2,000 different styles of plastic flowers. 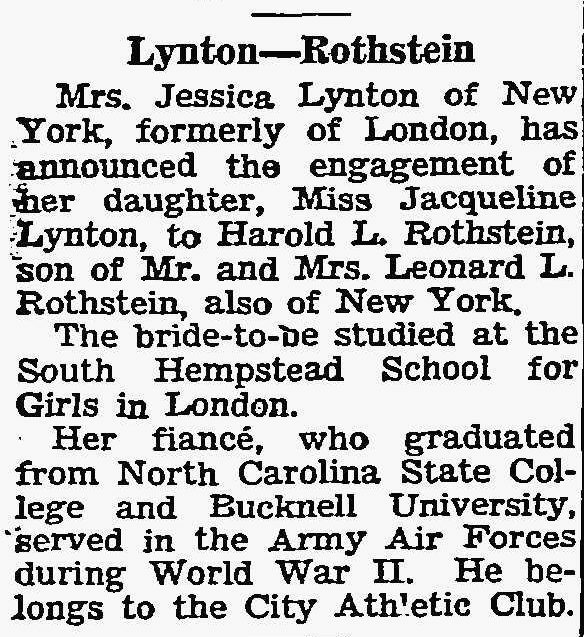 After its co-founder, Gershon Altman, retired in 1946, the company was taken over by the Rothsteins. 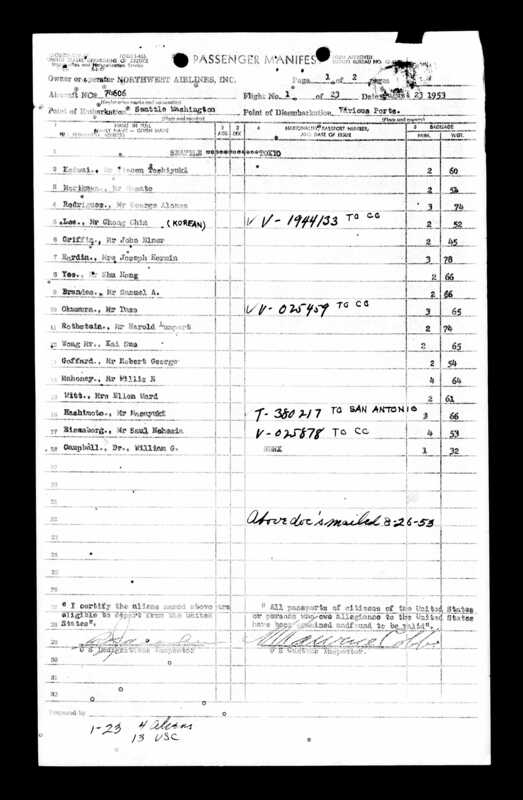 Joshua was the president and was based in NY while Harold ran the HK operations. At the company’s peak, it supplied to more than 20,000 retail outlets in the US including Woolworth’s and Bloomingdale’s. In 1961, Revlon bought the company for cash and the Rothsteins continued to manage it. In the latter half of the 1960s, the excitement over plastic flowers waned though, and Revlon forced the Rothsteins out. 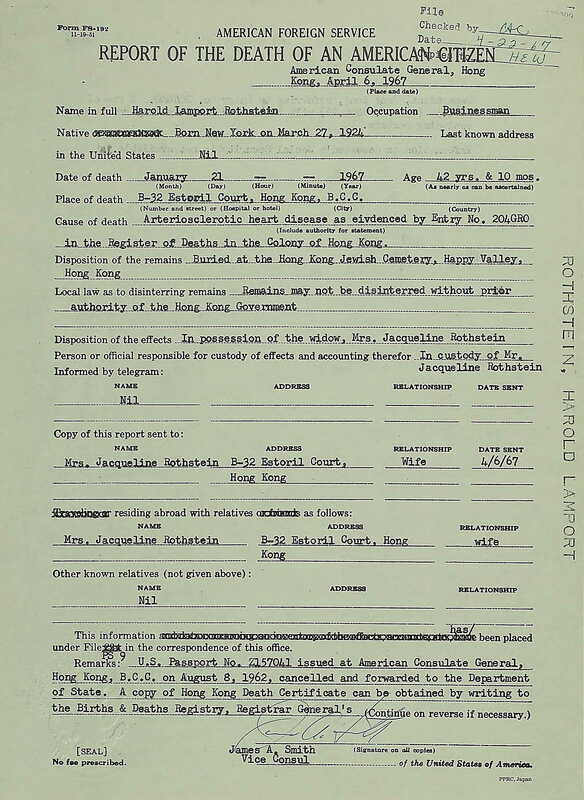 Harold reported discussed with Jerry Fishel about transitioning one of their other companies, Ronald Trading, to becoming a toy exporter but he died before anything was complete and his family left HK for the US. Later on, Fishel bought Ronald Trading from the Rothsteins for a reported HK$200,000, and it became a very successful toy export company. The Zunino-Altman Building, which was completed in 1961, stood 53A Hung To Road, on the corner of Tsun Yip Street in Kwun Tong. It was later bought by Cheung Kong and renamed the Cheung Kong Kwun Tong Building and was knocked down in mid-’90s. Today, Spectrum Tower sits on the site.